DHA is a key Omega-3 fatty acid and a building block of the brain, as well as an important element of vision and a puppy’s central nervous system. 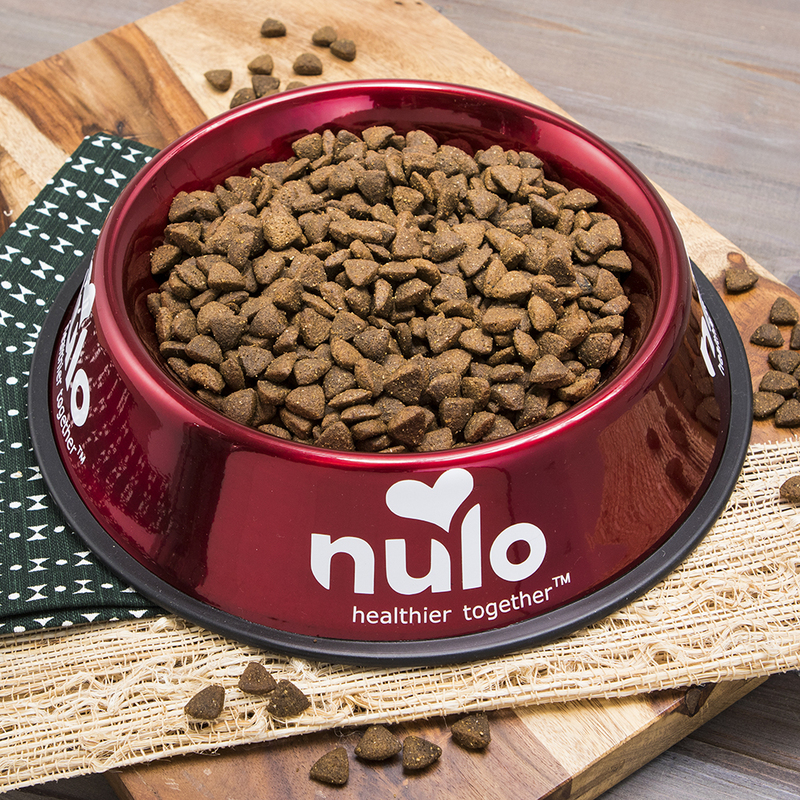 Healthy ingredients like real salmon, turkey, peas and lentils help promote staying power for your active puppy. Deboned Turkey, Turkey Meal, Salmon Meal, Chickpeas, Chicken Fat (preserved with Mixed Tocopherols & Citric Acid), Sweet Potato, Yellow Peas, Deboned Trout, Pea Fiber, Natural Flavor, Yeast Culture, Dried Chicory Root, Dried Tomatoes, Dried Carrots, Dried Blueberries, Dried Apples, Salt, Calcium Carbonate, Choline Chloride, Potassium Chloride, Zinc Proteinate, Vitamin E Supplement, L-Ascorbyl-2-Polyphosphate (source of Vitamin C), Iron Proteinate, Niacin, Copper Proteinate, Thiamine Mononitrate (source of Vitamin B1), Calcium Pantothenate, Vitamin A Supplement, Manganous Oxide, Pyridoxine Hydrochloride (source of Vitamin B6), Selenium Yeast, Riboflavin, Vitamin D3 Supplement, Biotin, Dried Bacillus coagulans Fermentation Product, Vitamin B12 Supplement, Calcium Iodate, Folic Acid, Rosemary Extract. 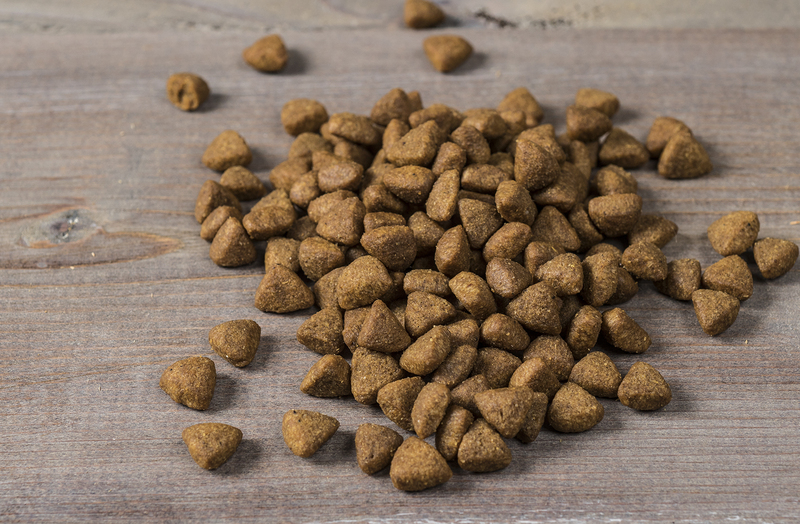 FreeStyle Puppy Turkey & Sweet Potato Recipe is formulated to meet the nutritional levels established by the AAFCO Dog Food Nutrient Profiles for growth and gestation/lactation. Every puppy is a little different, so the ideal feeding amount may vary with age, size and activity level. Please use the information below as a starting guideline only and adjust as required. Ask your veterinarian if you’re unsure. Always provide plenty of clean, fresh water and hugs. Add ½ cup for each additional 20 lbs. 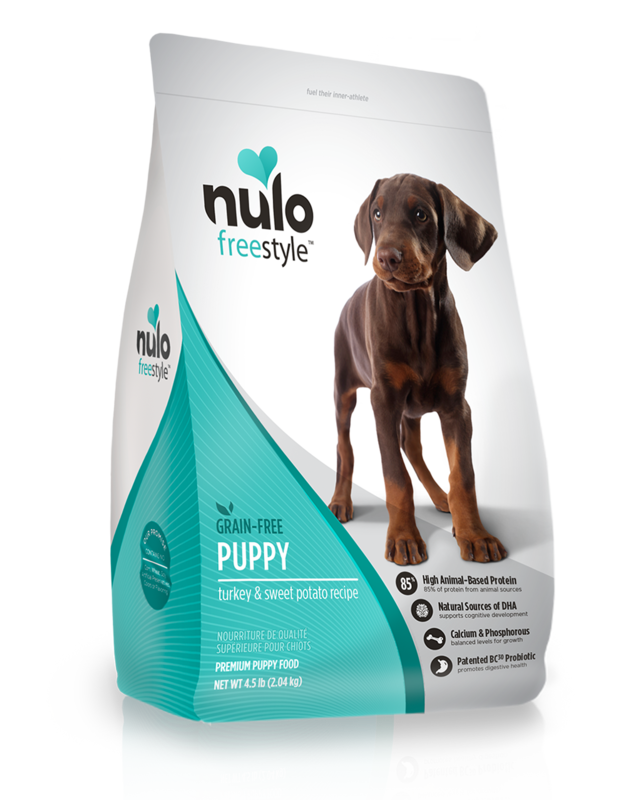 Nulo FreeStyle™ Salmon & Peas Recipe Puppy Food provides extra nutrition needed by pregnant or nursing dogs. When pregnant, feed up to 50% more food according to body weight displayed in the 7-12 mos. column. For nursing dogs, allow her to eat at will. Please also consult with your veterinarian.